One day is just not enough in my opinion. I just feel like if you only have one day off it’s like you didn’t have any time at off at all because you still have some errands to run during your off days and to than to try to fit in something you have been looking forward to doing…Good luck. Totally didn’t even know it was St. Patty’s Day until I heard other people talking about their kegger partays all giddy like. Guess that’s what happens when you don’t drink. #CouldntCareLess. Hey, I will rock some green to the gym bright and early tomorrow for those still too hung over to get out of the bed. 😉 PS. Not trying to come off judgmental. No seriously, it’s just not my thing, others can do as they please. My boyfriend and I randomly chattered about reincarnation over our dinner date on Friday. Interesting dinner conversation eh? Do you believe in reincarnation or do you think you only live once? If you were to come back as any animal, what would it be and why? All the “nature’s a tough world and you would probably not last long” realistic thoughts aside, at the moment the first animal that came to mind was a butterfly. Beautiful, peaceful and free. The caterpillar has quite the challenge of gaining enough fuel to be able to survive the transformation to it’s flying self. If, and only if, they succeed can they morph into the butterfly, take off and fly away from all they once knew and take on new adventures. Kinda cool when you think about it. Awww yeah! 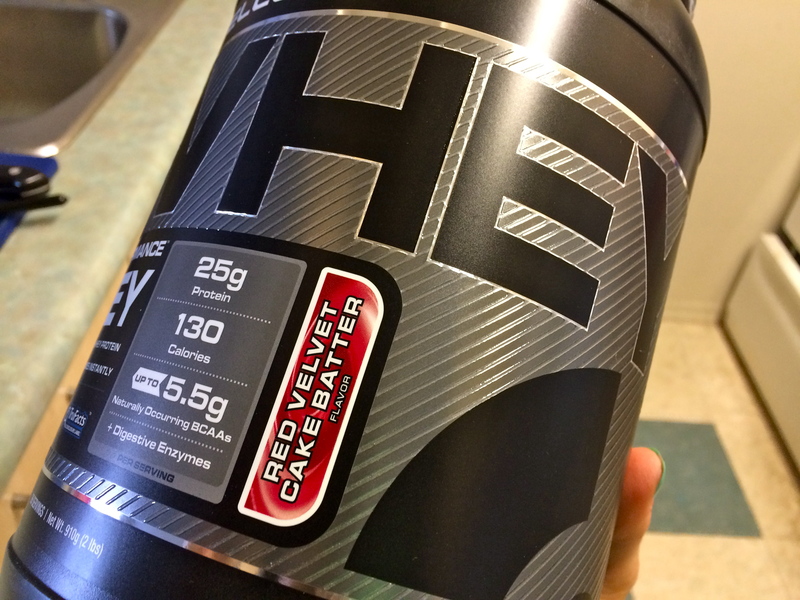 Despite being super busy I had a major baking itch that needed to be scratched as my new Cellucor Red Velvet Cake Batter whey came in the mail. No, I have never actually tried red velvet before. Yes, I still bought it because it sounded cool. YES IT TASTES REALLY REALLY GOOD! Verdict. They turned out super fudgey and delicious despite being sugarless, high fiber and protein, made with squash and gluten free. Pat on the back for me. Recipe with be up tomorrow as part of #MakeItBakeItMonday’s with Chelsea and Kelly on IG. Thanks to Tony over at The Fit Bald Man for this amazing idea! I made mine very similar to Tony by simply using a Flatout wrap, spreading it with nutbutter (one was crunchy almond butter, the other was crunchy peanut butter), filling it with fruit (banana and strawberries) and rollin it up. 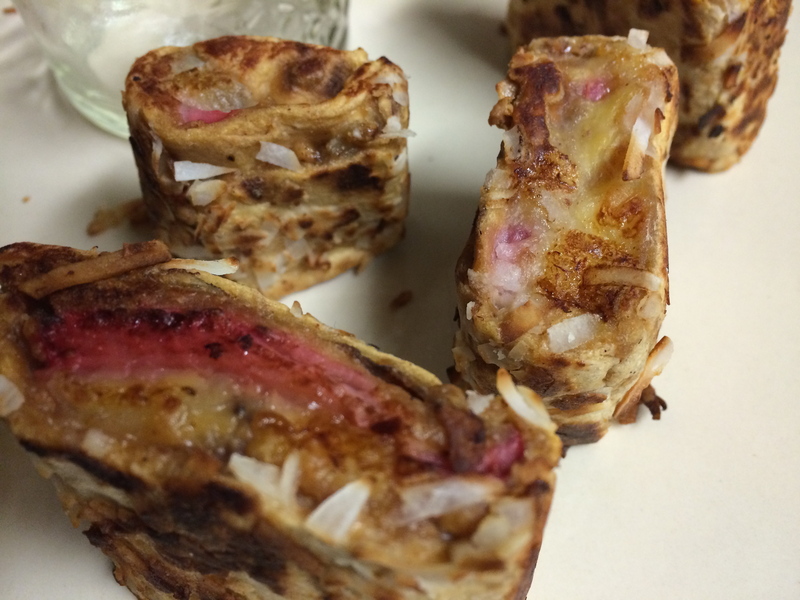 From there, you cut it into sushi rolls, drench it in your standard french toast batter (a few egg whites, U/S almond milk, cinnamon and vanilla) and ‘fry’ it up in a lil coconut oil to get it nice and crispy on the outsides. Voila! Simple and quite frankly, awesome. Oh, I also stole is idea for making one wrap a tempura style one by rollin the rolls in shredded coconut before frying. IMPORTANT NOTE: To eat, use chopsticks and dip in maple syrup! Although mine aren’t nearly as pretty as Tony’s, my boyfriend absolutely LOVED them. What’s really awesome is that these are totally customizable too! 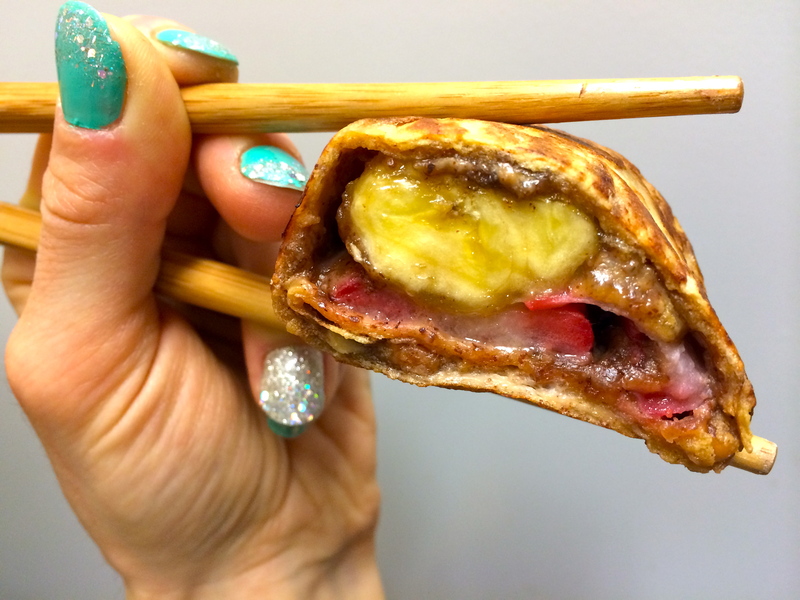 You could change the filling. Make a sauce to drizzle on top. Add some chia or cacao nib ‘fish eggs’ on top for some crunch. The options are unlimited. Next on the boyfriend’s breakfast menu will be Tony’s fruity spring rolls. 😀 Stay tuned! 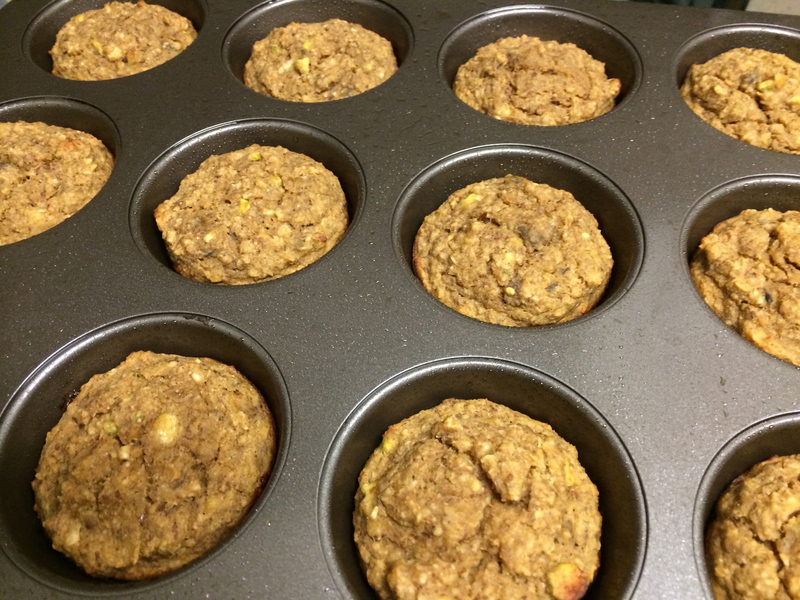 Sneak peak of my Pistachio Banana Bread Muffins fresh out of the oven. Oh and why pistachios and not traditional walnuts…? Cuz pistachios are green and it’s St. Patty’s Day weekend. So much seafood! 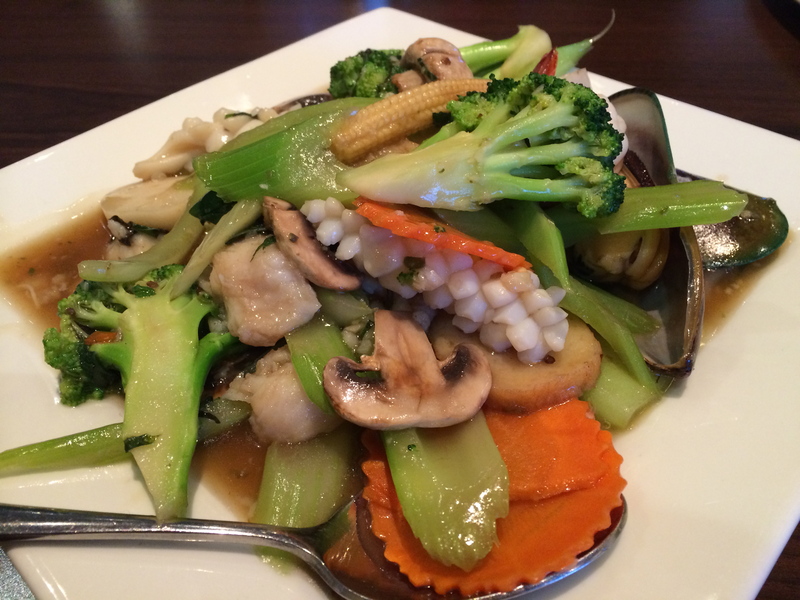 Scallops, calamari, squid, mussels in a spicy basil sauce…I was thoroughly content with this plate. Where’s your favourite datenight spot? I will say that I was really craving Chucks to have them redeem themselves from the last time, but this was super yum. What’s a random thought you have come up with lately? Enjoy the rest of your Sunday evening friends! 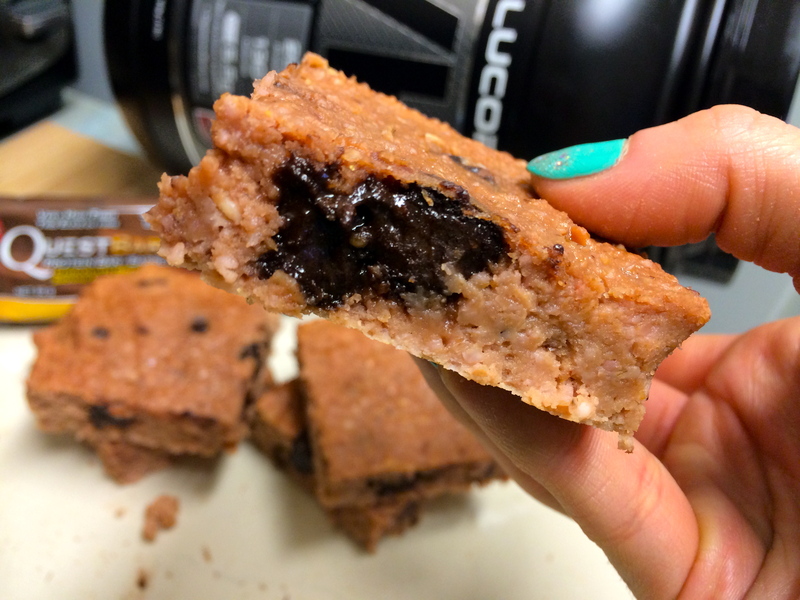 Categories: Blog Love, New Product, Personal, Recipe | Tags: Banana bread, Blog Love, Catching Up, Cellucor, Healthy Baking, Healthy Snacks, Meal Inspiration, Personal, Quest Bar, Rambles, Random Thoughts, Recipe, Red Velvet, Snack Inspiration | Permalink.